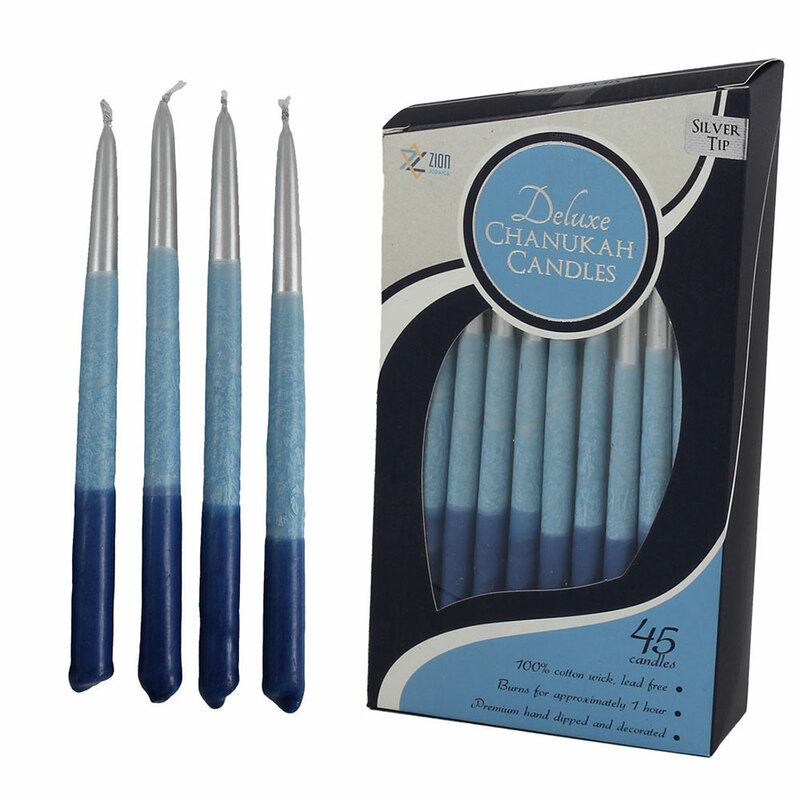 New luxurious Silver Tipped Hanukkah candles in refreshing tri color blue tones. These freshly designed Chanukah candles will add sparkle and beauty to any Menorah. A combination of contrasting blue tones to enhance your Menorah like never before. Bring joy and glow into your Home with these vibrant and classic candles.